Congrat’s To 12U Cavaliers, 13U Knights & 16U Lady Knights On Great Seasons! We’re proud of how all our teams played this past season. From 9U up to our Elite Exposure showcase team, baseball and softball, every team has experienced great success and has made ITZ proud. Three of our teams celebrated several championships both at the tournament level and in league play. Our 12U Cavaliers & 13U Knights baseball teams both celebrated tournament championships this fall in addition to winning their respective fall league divisions. Our 16U Lady Knights Showcase team had a fantastic tournament season, with a couple of championships in addition to some very high level college showcase play. We are looking forward to what is shaping up to be an amazing 2019 season for In The Zone Baseball & Softball Academy. Our club team programs offer winter training that is unmatched in the industry and a staff comprised of more active college coaches than any other program around. 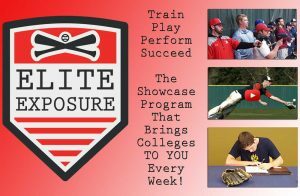 This means that players from 8 to 18 are in a ‘college style’ training environment and for players serious about playing at the next level, our Elite Exposure College Showcase program is designed to maximize exposure and increase opportunities for players looking to get recruited to play college ball.